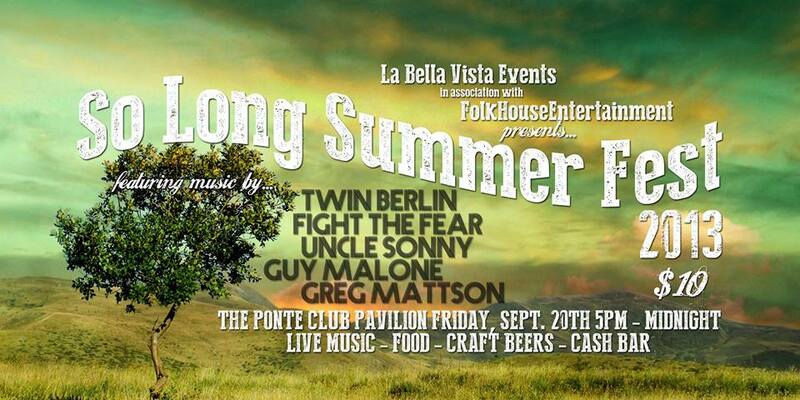 So Long Summer Fest 2013 is gonna be kickin' on Friday night at The Ponte Club Pavilion! Twin Berlin, Uncle Sonny and MANY more will be filling out this bill so DON'T MISS IT! How are you celebrating your last Friday night of Summer this year? On Friday, September 20th, Folk House Entertainment will be holding a live music event with La Bella Vista Events at Waterbury's staple venue, the Ponte Club. The "So Long Summer Fest" will showcase local, independent artists, a selection of craft beers, cash bar and food by La Bella Vista Fine Catering. Headlining the event will be Twin Berlin. With members from Connecticut and Boston, Twin Berlin has been MTV VMA nominated and has opened for big name acts, such as Third Eye Blind and Eve 6. Their most recent EP was produced by Travis Barker, of Blink 182, at Red Bull Studios in Los Angeles. In an age of elctro-pop, overproduced indie rock, Twin Berlin rebels against the passing fad to bring the revival of no-frills, in-your-face rock and roll. 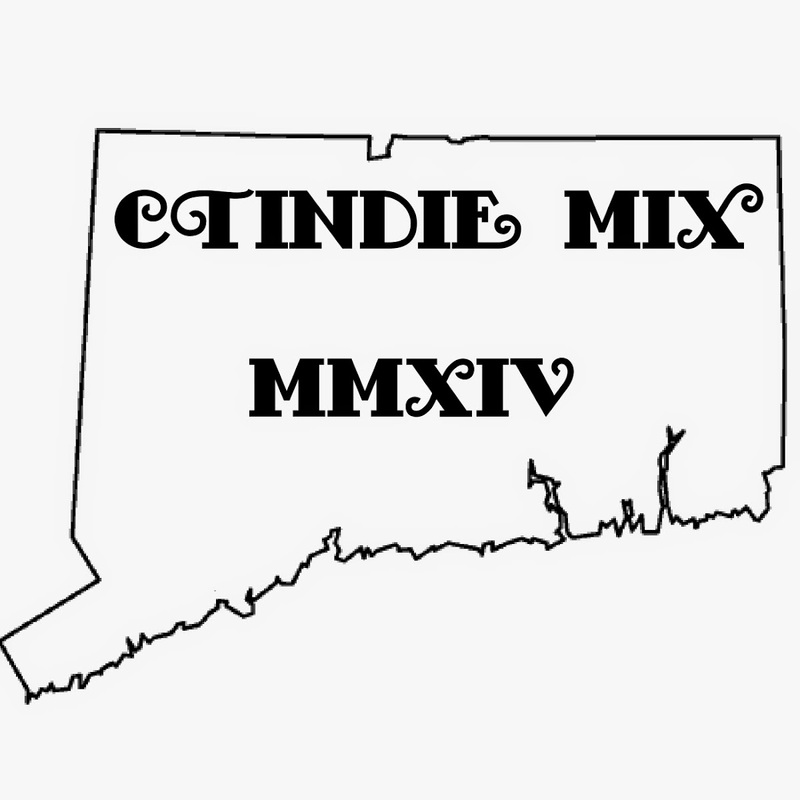 Also hitting the stage on September 20th, is 2012 CT Music Award Winners & 2013 CT Music Award Nominees, Fight The Fear, from Middlebury and Bridgeport. The group has also had the opportunity to open for supergroup Bon Jovi, and has quickly gained a dedicated following in recent years. Their energetic shows captivate audiences while providing the setting for an epic dance party. Watertown-based Uncle Sonny will also be showcasing their talents, bringing in tow their loyal and ever-growing fan base. Uncle Sonny has recently had the opportunity to record at Wreckroom Records in Brooklyn, owned by Adrian Grenier, star of the hit HBO series "Entourage". You'll be mesmerized by the amount of talent Uncle Sonny brings, with influences from such genres as Funk, Rock and Soul. Local Waterbury natives, Guy Malone, are sure to catch your ear as well. The power-jam trio have been on the scene in the area for years and are known to be one of the best jam bands around. Proficient lead guitarist, Brett Calabrese, along with band mates serving up intricate rhythms and tight base lines, are sure to turn your head and keep you begging for more. Rounding out the show is newcomer Greg Mattson. Greg, from Middlebury, and his group, bring a more mellow rock sound to the show, along with enticing guitar riffs and great vocals. The So Long Summer Fest begins under the Ponte Club Pavilion at 5:00PM on the last Friday night of Summer, September 20th, with music playing all night until Midnight. Tickets for entrance are $10 and parking is free. For tickets call La Bella Vista Events at (203) 527-4006. 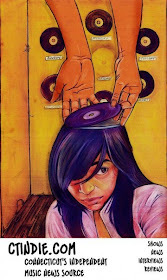 To check out videos of the performers and invite your friends to the event, go to facebook.com/SoLongSummerFest.